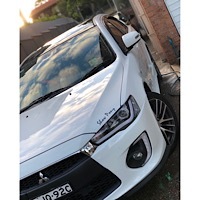 Lancer "gone by end of 2018"
Re: Lancer "gone by end of 2018"
Sad to see the Lancer go, it's been around for many years, I've owned 2 CJ's and they have been excellent! In fact even my old 97 Mirage was an excellent car! Unfortunately everyone now days is buying small SUV's or cheaper cars! 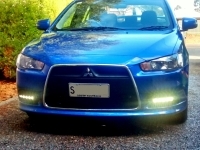 However Mitsubishi shot themselves in the foot not bringing a new Lancer out I think, the current shape is just over 10 years old with only minor changes! It needed a new shape several years ago to be more competitive! "48,000 ASXs, Outlanders, Pajero Sport and Pajeros " -- the ASX/Outlander would be dominating those. 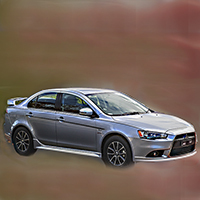 Seriously sad to see this happen.. whilst Honda, Toyota, Mazda and quite few others keep producing their nice sized economy sedans and hatch’s mitsubishi shall be calling it quits.. sad to see the whole lancer era be halted now, it was a good run but looks like we gotta face the facts now! My CC coupe was my first and only brand new car, my CJ is great and not panning to replace it any time soon. That said the new Eclipse Cross looks okay, for an SUV. Loaded with tech they should have put into the Lancer. Wonder if we can get the Proton knockoff in future years? Might be time to safe up and find a good low milage RA or EVO. They should have made a car half way between the size of the Lancer and ASX, and having it modernised of course. raised, beefed up suspension as a cross over for the SUV. They can now use the opposite. SUV floor pan and running gear for the car. for the rear end and may be the roof if they make a sedan. 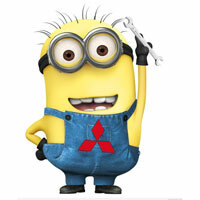 What's everyone's thoughts on the Evo and RA (based on lancer body) - likely to stay around ?